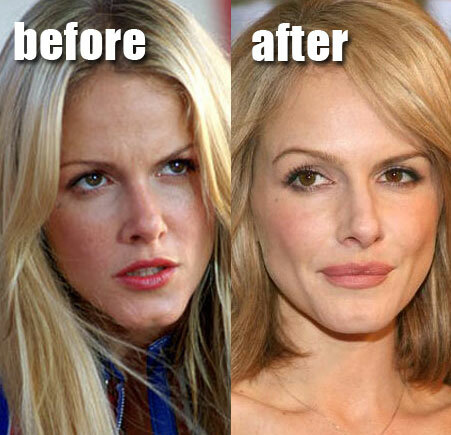 Monet Mazur before and after lip injections. Monet Mazur is an American B-list actress and model, who has been featured in the movie Torque and Monster-in-Law. The before picture showcases the actress with a naturally thin upper lip, flash forward, and we see a very plump and misshaped upper kisser. With pretty much every case we've featured so far, unnaturally plump lips almost always look incredibly awkward and out of place, not to mention highly unattractive. Somebody needs to pass the memo onto the next actress in line, before they pop up on this site looking all funky. Or perhaps its more entertaining this way?